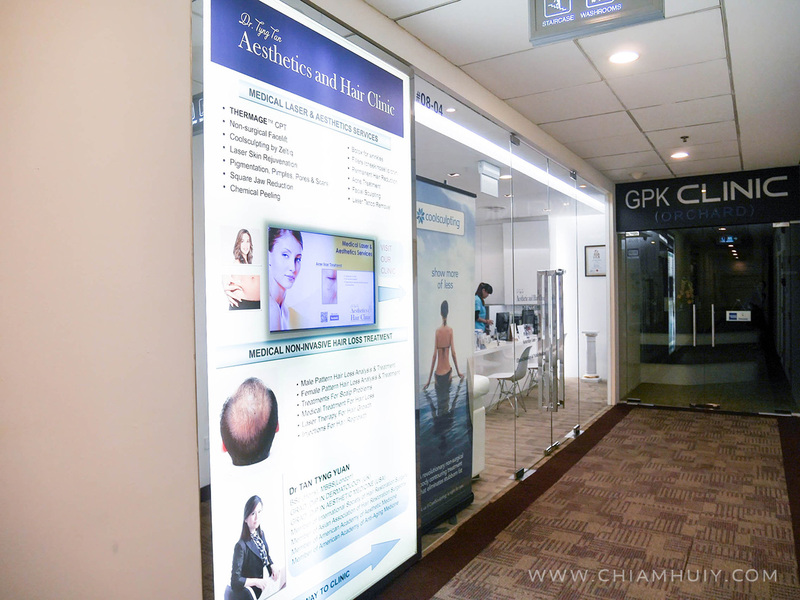 Here's a quick update of my hair removal progression at Dr Tyng's Tan Aesthetic and Hair Clinic. I've done a detailed FAQs page here so you can read more about Laser Hair Removal here. 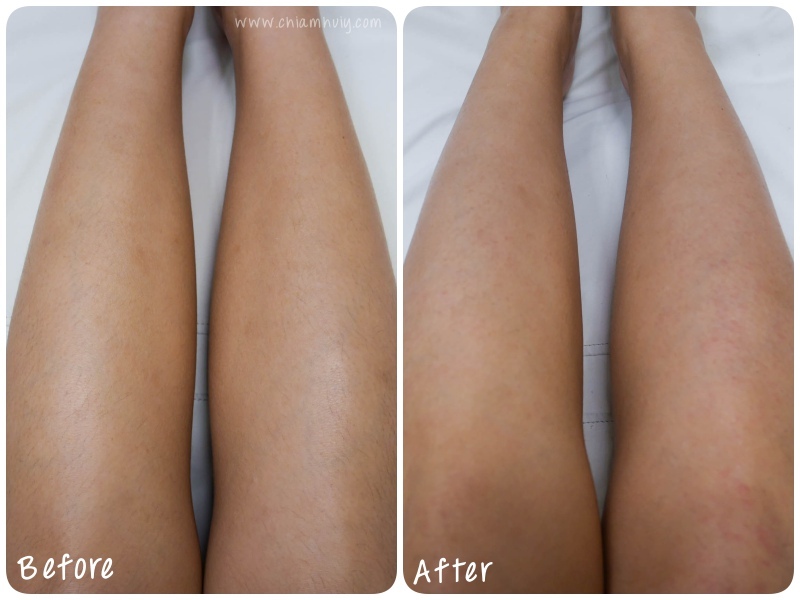 If not, read on to see how has four sessions of laser hair removal treatment helped me achieve clean and tidy limbs! Each session of laser hair removal treatment takes about 15-30mins, depending on how many areas you are doing. 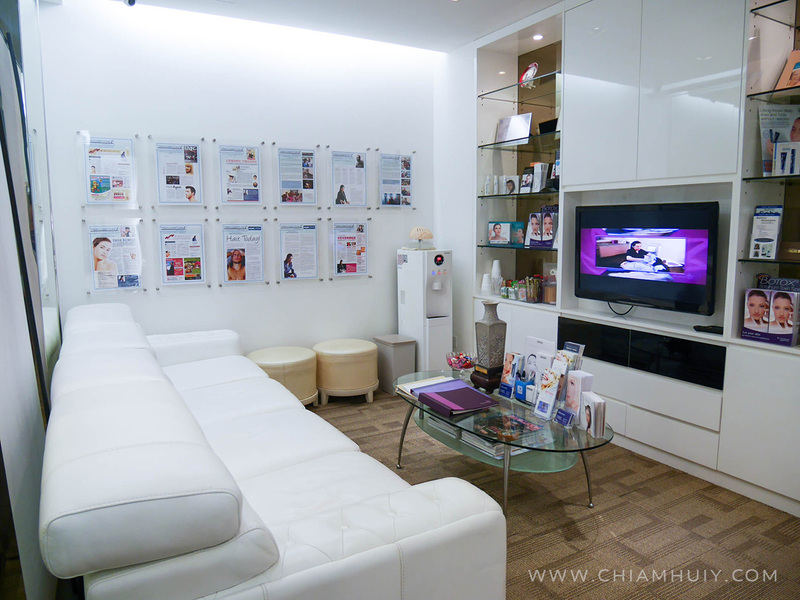 Every time I visit, I did on areas like my lower legs, lower arms and underarms. I was recently told that they do bikini hairline and upper lips areas too. 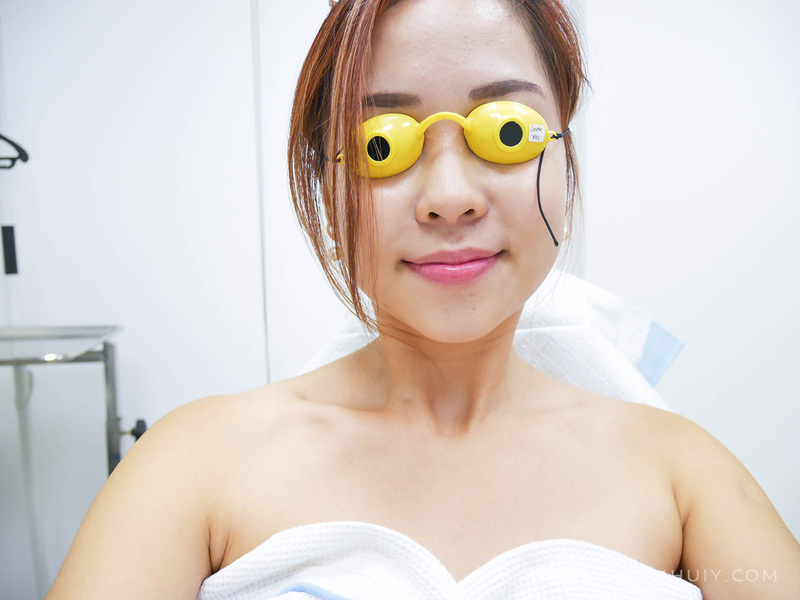 A safety goggles has to be worn by the patient during the laser treatment. I can only think of two most frequently asked questions, is it painful and is it effective? A short answer to that will be that, it is not entirely painless but it is very very effective. 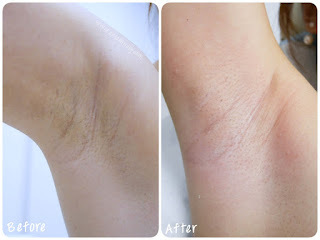 For complete experience and FAQs on laser hair removal treatment, you can read my first post on it. And if you don't believe how hair my legs were in the past, and why I said laser hair removal treatment is very effective, here's a testimony. If you can tell, my lower arms already have very little hair remaining after the 3rd session. Why should you do Laser Hair Removal? Not only will you look good, you'll feel food as well. 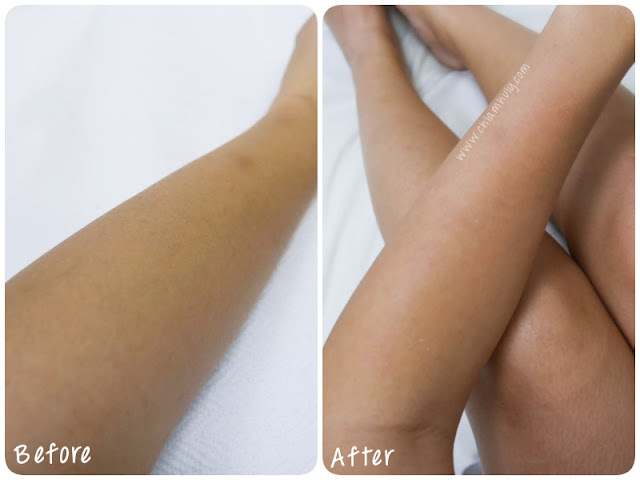 After removing the unsightly hair on my legs and arms, my skin will shine whenever I apply body moisturising oil. I personally like the shine and how clean I feel. If body hair has been affecting how you feel about yourself, you should give this treatment a try to permanently reduce the amount of hair on my body.